Should your resume talk about the strength of your communication skills? Do communication skills really matter? If so, why? Students working towards securing their first job and professionals looking for career advancement have contemplated this for many years. The answer is yes! Communication skills form part of the assorted bouquet of soft skills. In an effort to make oneself job ready, we focus a tad too much on honing our core functional skills overlooking the development of soft skills. However, we painfully realize their significance when we are unable to, let`s say, articulate our functional skills during an interview or placement drive. How clearly we express our educational qualifications, professional experience, skills set and interests in a resume determines the certainty of securing an interview call or a job offer. And it doesn`t end there, the confidence with which we approach a job interview, the alacrity with which we respond to the interviewer`s questions and the tenacity with which we handle conflicting views ensures our career escalation. Speaking and writing effectively form two of the most desired people skills that help to convey your ideas but there is more to communicating than speaking and writing. Your gestures, your posture, your body language, your physical proximity to your audience all convey a message that, in a way, instantly influences how others perceive you. It is common knowledge that communication is a two-way street. Though it is imperative that we interact, write and present clearly while performing our professional duties, what is equally essential is that we make sound efforts to listen. For it is through active listening that we can truly discern the instructions, responsibilities, concerns and recommendations disseminated in the business of doing work. Actively listening and paying attention to the speaker conveys that you value the speaker’s time and focus invested in engaging you in a conversation. It is inextricably tied to the extent of empathy you are able to develop for others’ views. For, one thing, which we need to accept is that each one of us has views which are diverse and uniquely ours. So, we should listen-to understand and not rush into a response bogged down by the weight of our assumptions. Stories abound of the endless number of meetings and presentations where recording the speaker`s favorite filler word was a carefully anticipated exercise. Several courses and material have been developed on the “do`s” and “don`ts” of how to ace that all too important presentation. The thought of giving presentations can make even the hardened professional nervous so as a novice presenter you may feel especially anxious about having all eyes in the room focused on you. Individuals exceptionally competent in their domain have been known to stutter on the most elementary parts during a presentation. However, good planning and practice can help you deliver an effective speech and build your reputation as an articulate communicator. We all have certain innate mannerisms and while some of them may appear slightly idiosyncratic, they do not always necessarily demand a radical correction scheme. A key aspect of effective communication is exhibiting positive body language. Similarly avoiding clichés and repetition should be the objective while conducting a meeting or presentation. In this all-consuming digital world of hyper-connectivity and instant messaging, how we communicate on emails and social media adds another dimension. It is fiercely dynamic, full of constantly evolving rules; increasingly transforming into an inevitable medium of interaction. Therefore, workers who emphasize on clarity, logic and empathy while communicating through the channels of email or social media would find themselves in good stead. Effective communication lies at the heart of leadership. Ably supported by the agents of trust and empathy to deliver the message of the larger vision, progress as well as the relevant policies, leaders are expected to set the ball rolling for decisions to translate into actions. For employees to be truly engaged, leaders need to not only gauge how their team feels about the shared plan or proposed process change but also allow them to participate in constructive dialogue where they air their concerns without hesitation. Communication, after all, is as much about getting to know your audience as it is about clearly outlining the larger goals. If you communicate effectively as a leader, you ensure that the goals you outline are interpreted in the manner you intend them to be. The expected costs, timelines and quality deliverables would be understood just the way you would like them to be. Explore the VMock platform to delve into how you can highlight your communication and leadership skills better through the resume. Your tone, pitch, gestures also have a significant bearing on how your message is perceived. Body language can strongly influence whether your message gets diluted or strengthened. Maintaining eye contact, avoiding constant fidgeting (clenching your fists, tapping the pen against the desk etc.) are some examples you should pay heed to while focusing on addressing an audience. While your speech and writing explicitly convey your message, non-verbal skills relay implicit messages through facial expressions, head and hand gestures (shrugging shoulders), and the tone of your voice. Different countries and cultures, for example, interpret gestures very differently. This is an important point to keep in mind as business becomes increasingly global and the chances that you would work with a global team are increasing steadily. Use your non-verbal signals carefully and be conscious of how you are using them to avoid misunderstandings and missed opportunities. Your interpersonal skills and command over communication are directly tied with each other as well. How patient and positive you are towards your team mates affects the discourse that flows within the team. Do you portray a collaborative personality or do you seem distant? Interpersonal communication has its fallout on various public speaking meetings where the audience may or may not be receptive to the speaker. It is remarkable how many client pitches abruptly fall through on account of client support failing to successfully address clients’ queries. Conversely, unambiguous lines of communication irrefutably lead to stronger decision making, prompt deliverables, trust worthy business/employee relationships, improved output, streamlined workflow, compelling documents and favorable company image. 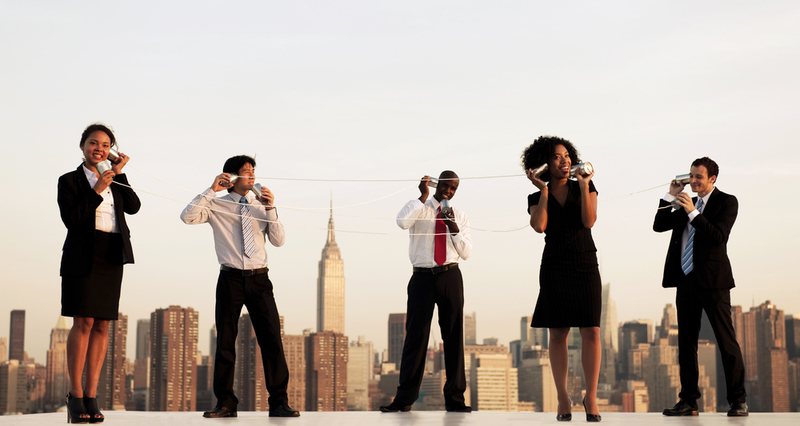 Communication skills form a vital part of your personal brand. In addition to helping you project yourself as a capable individual, they help you in decision-making, building rapport with colleagues and general audience, problem solving and working effectively with colleagues and teams. It is the most helpful medium for bridging the passage between ‘I’ to ‘We’. The message, medium of transmission and the messenger have to be aligned towards the same goal for getting a firm grip on this surreptitiously soft skill called communication.